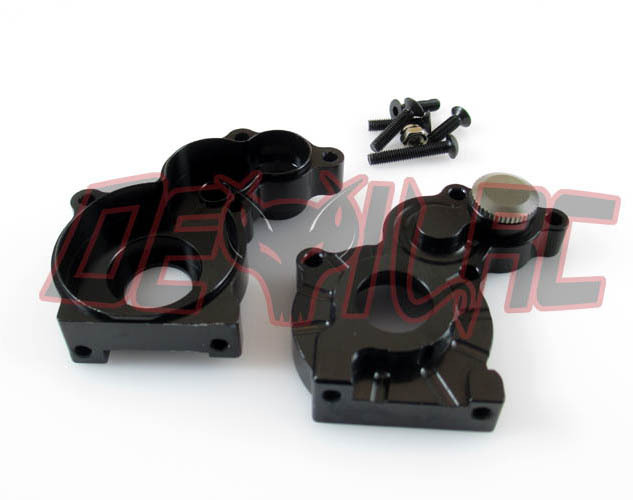 This Heavy Duty transmission case is the perfect replacement for your Axial transmission case! Made of aluminum with a nice black anodized finish, it's a great way to gain a more rigid case and stronger mounting holes without adding a ton of weight. This case CAN be "mirrored" because it has a removeable cap insert allowing to to change the top shaft from side to side.